Long Grove was Illinois’ first historic district, and it continues a tradition of culture and charm that is reflected in the care its residents take in their homes. A garage door that is broken down or damaged can be a blemish on the face of your home and neighborhood. If you are a resident of Long Grove and need garage door repair on the double, look no further. Call the experts at Overhead Garage Door Inc. 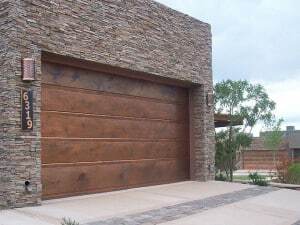 Overhead Garage Door has a long standing mission to serve it’s customers. That tradition has made them the top provider of garage door repairs and garage door installations in Long Grove and Lake County. I was referred to Overhead Garage Door & I’m frustrated I didn’t call them first. I spent 2 days off and on researching which roll up door would be best for our renovation project, then spent the next two days waiting on estimators to get numbers to use against my referral. It turns out the number I got from Overhead (my referral) was only 31 dollars more than a guy that does installations for home depot and that guy barely spoke English. Not to mention I got great advice from Paul in installations verses no guidance from any of the others. Great work, guys. Overhead Garage Door Inc. is an industry leader and certified dealer of Clopay Garage Doors. We continue to provide homeowners in Long Grove with top-notch commercial and residential doors and openers, exceptional service, and overall superior value. Our mission is to continue to go above and beyond your high expectations while increasing the curb appeal of your home. Clopay gives you a wide variety of styles to choose from so that your garage door is both simple to operate and customized to compliment your home or business. Our professional staff is highly experienced and trained to install any opener or door from our phenomenal selection of quality products as well as perform urgent repairs quickly and within your budget. Our technicians are both knowledgeable and courteous, and they will do their best to ensure that you are completely satisfied. If your garage door has dents or scratches from an accident, loss of function from extreme weather conditions, or minor cosmetic issues, we can be on the scene in Long Grove in no time. We will assess the extent of the problem, review any and all potential solutions with you, and provide you with a complete estimate before getting down to work. Need emergency service? We have technicians standing by around the clock to take your call. Product Lines: We invite every Long Grove resident and business owner to take a look at our selection of products below. We hope we can help you with all of your garage door purchases and repairs. We want you to fulfill your home improvement aspirations, and we hope to help you be proud of your property and proud to call Long Grove your home. Get your Free Quote from Overhead Garage Door Today! 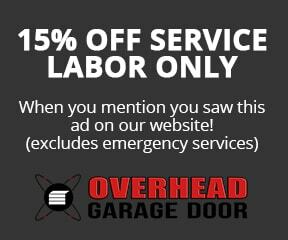 Overhead Garage Door offers same day service to Long Grove residents. Give our team a call at today 1-888-459-3720 for your free estimate on your Long Grove garage door.